Synopsis: Hazel has cancer and even though she is taking a drug to shrink her tumours, her prognosis is still terminal. At a cancer support group, she meets Augustus, seemingly recovered from his cancer, and discovers what life is all about. This is an excellent book for debunking myths and showing exactly how difficult it is for teenagers with cancer. It is funny and lively as well as being devastatingly sad. From the moment that Hazel meets Augustus, there is a sense that this cannot end well. (Otherwise what sense in telling the story.) There was always a sense of grabbing happiness while you can and one of the lessons Hazel learns is that you cannot stop people from loving you just so they don’t get hurt and equally you cannot stop yourself from doing the same. I was impressed with the gallows humour in this book and it always felt right and didn’t step over the mark at all. I was a little wary of reading it, thinking that it might be too upsetting but in fact I found I laughed more than anything. There was one point towards the end when it is obvious what is going to happen and I put the book down, thinking I might not pick it up again. But I did and it was painful but not impossible to read. One of the reasons I didn’t find it more upsetting, I think, is that it never stopped feeling like a book. The characters were well written and the plot moved well and wasn’t cliched but I never really suspended my disbelief. 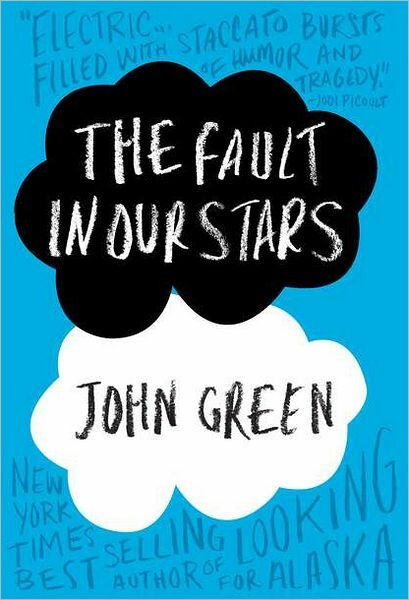 In the book, Augustus is obsessed with the metaphoric resonance of everything he does and the story often seemed symbolic rather than real as if everything was imbued with too much meaning. Still, undoubtedly an important book about the importance of living even when you are dying.